As I write this, our small but most immediate family is spread across the globe: in three different countries and four separate states. The reach of the physical distance between us is unusual, but the fact that we are more than many miles apart is not. For better or for worse, the pull of the family farm and small hometown are generations behind us. The world and its opportunities are too vast, and having had a taste of what there is to explore, this family is not one to be contained. Even within our little family unit, with one child (adult) at college and another child (soon to be adult) not far behind, the new reality is that family dinners for three or four soon will be the exception. FaceTiming will stand in the place of family walks, and good-morning texts to each other will replace the current morning routine of people passing in and out of the kitchen hub as we cobble together breakfasts, pack lunches, and check in with each other before we begin our days. I knew that this time would come eventually. But I’m finding that knowing and accepting are two different things. Looking back, I think we always have quietly acknowledged how precious and fleeting time with our young and growing family would be. 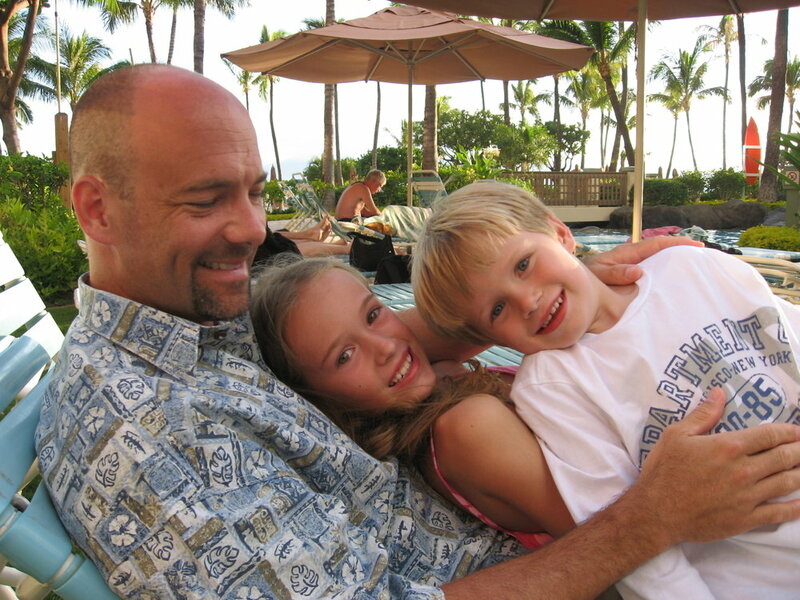 When our children were young, and my husband and I were just beginning our professional careers, we took a vacation to Maui. At the time, we were in the unfortunate habit of not taking time off until we reached the desperation point and then settling for whatever vacation we could cobble together at the last minute. So, for us, this was a big one. We stayed in the same condominium complex my husband and I visited on our honeymoon. We made our three year old son wear a bulky Spider Man life vest every time his feet hit the sand given my ocean paranoia, even as our daughter floated in and out of shallow waves until the sand was impossibly embedded in her tangled curls. Then one day we wandered down to Kaanapali and, lured by the promise of a free massage, found ourselves in a time share presentation. And then enjoying a complimentary overnight stay at said resort when they sensed our dueling desires and reservations. And then buying a time share that we could not afford on an island that we loved. A dozen years later, Maui has become our family place. It is where we come to connect with nature and with each other. It is the place where watches and schedules fall to the wayside, and we slip into a rhythm guided by whatever moves us in the moment. We have circled the island together, waded to waterfalls, explored upcountry towns, hiked through bamboo, gladly suffered humid marathon training runs through Lahaina stopping at bars to refill water bottles, ridden a boat along side of dolphins playing in our wake, scoured the island for the best poke, and consumed our fair share of Mai Tais at sunset. It is a place where my husband and I have visited together, together with our children, together with our friends, and some day, God willing, together with a growing circle of family beyond our current generations. In the fullest meaning of the phrase, it is our happy place. By either luck or design, when you find your family place, claim it with both hands. Build traditions and memories that bind you no matter where your day-to-day lives take you. It can be an island in the middle of the Pacific or a campground an hour from your home. It can be a local park or a national forest. Wherever it is, and in whatever form the traditions grow, find that place and those experiences that draw you back, and brings you closer, again and again.